Our school's student run newspaper. This photo was put together by MADDY HEESZEL. 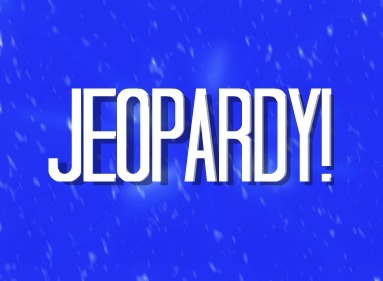 Jeopardy, the game show that many of us are familiar with, is celebrating their fiftieth anniversary as of March 30th. Since Jeopardy is one of the many game shows to continue this long, it has overall been successful and loved by millions. Since 1964, Art Fleming had hosted Jeopardy up until 1975 when the game show begun to take an unsuccessful dive, leading it to be forced off-air. An all-new Jeopardy aired back on television in 1984, starring Fleming once again, failing for a second time before being replaced by Alex Trebek, the current Jeopardy host. Trebek has now kept Jeopardy up and running for almost thirty years and still continues to keep the show alive. Throughout the years, many Americans can say that Jeopardy has been, and still continues to be, a huge hit. “It’s still the best mental exercise on television,” says professor Steve Beverly from Tennessee, “It has one of the greatest play-along capacities. And if you are sitting at home, and you are good on respective categories, it gives you as a viewer the ability to sit there and say, ‘You idiot!’ when a contestant misses the question.” Jeopardy has a capability of educating their viewers while providing quality entertainment, all in one show. Out of every trivia game show out there, Jeopardy was still on the top, even towering over Who Wants to be a Millionaire. The unique game-play of Jeopardy left millions of Americans watching back-to-back episodes; you could not stop just after one. Many people find that this show is also great to watch during family gatherings or at a dinnertime. It’s a show fun for the whole family, even for the little ones. Trebek still happily hosts Jeopardy and most likely will for many more years. We hope that even after Trebek’s hosting, we can still keep Jeopardy alive. Even students at El Diamante High School have been growing up with this game show. Millions of Americans are still intrigued by Jeopardy’s capability of airing for so long on television after its temporary downfalls and struggles to gain support. It rose from an unsuccessful game show to a popular one in just a matter of time. While many shows on television are quite recent, we can gladly say that even the older shows are still treasured and loved by many. Fifty years of Jeopardy and hopefully another fifty more to come!